Top 10 technologies and how they impact you! By now we’ve gone through most, if not all, of our budgets and we are setting plans for the future. As we look back on the past two years we see a direct acceleration in the IT world. Users are connecting in new ways, there is more content to be delivered – and this whole cloud thing just won’t let up. In fact, the recent Cisco Global Cloud Index report goes on to show that while the amount of traffic crossing the Internet and IP WAN networks is projected to reach 1.4 zettabytes per year in 2017, the amount of data center traffic is already 2.6 zettabytes per year – and by 2017 will triple to reach 7.7 zettabytes per year. This represents a 25 percent CAGR. The higher volume of data center traffic is due to the inclusion of traffic inside the data center (typically, definitions of Internet and WAN stop at the boundary of the data center). What to look for: This technology is getting pretty hot. With so much cloud adoption happening, organizations need a good way to interconnect a wide variety of resources. A hybrid cloud is no longer defined by a simple connection between a private and public data center. 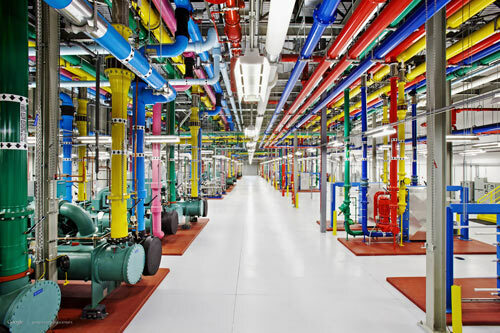 Now, data centers can interconnect with resources spanning a variety of environments. This means that pieces can be in a private, public or “as-a-Service” delivery. All of these components can be connected together to bring home a powerful hybrid cloud platform. More services, many more users and a more interconnected world will prove to be the driving force behind a hybrid cloud platform. What to look for: Service delivery models only continue to grow and evolve. We now have theinternet of everything and even the concept of everything-as-a-service. Let me give you an example. By utilizing software development kits (SDKs) and the APIs we discussed in #2, an emerging service platform known as backend-as-a-service (BaaS) can directly integrate various cloud services with both web and mobile applications. Already, there is a broad focus where open platforms aim to support every major platform including iOS, Android, Windows, and Blackberry. Furthermore, the BaaS platform aims to further enhance the mobile computing experience by integrating with cloud-ready data center providers. These new types of services will continue to grow. Data center platforms will strive to be your one-stop source for all service delivery needs.